The tech company Microsoft seems to be working on a dual-screen device of some sort of the long-rumored Surface Phone. Many fans are very excited about the idea of having this device. A petition is currently ongoing asking about Andromeda’s chance to be available on the market. According to Hot Hardware, the latest patent suggests that the upcoming device (possibly Microsoft Surface Phone), which was codenamed Andromeda, is being considered to feature a pair of touchscreens in a book-like orientation. Several patents related to this mysterious device appeared reportedly from the company. One of the patents was filed last year on June 20. This showed the three-way video calling on a hinged multiscreen device. This got recently published on July 3. In the patent, the allegedly Microsoft Surface Phone houses the first and second parts each with their own displays and individual cameras mounted. The processor seems to be also mounted and configured to function in a camera mode. It can process image data from the two cameras. Another patent also got posted recently on Twitter. This came from the tech designer David Breyer showing some sleek-looking renders. He got his inspiration from the previous patent designs and rumors. He previously posted his first render back in December. The head leader Panos Panay of the project Andromeda also posted his own take on the mysterious device. He hinted at the realness of the device. His posted image appears to have two displays side-by-side in a book-style picture frame. This image brightens all the speculation surrounding the project and the mysterious device. Panos also included a text thanking the LG Display for the touchscreen technology. Just so you will know, the LG Display provides slick new technology on the panels they supply for smartphones, notebooks, tablets, and monitors. This means that the dual-screen devices could become a trend in the near future. We will just have to wait and see. 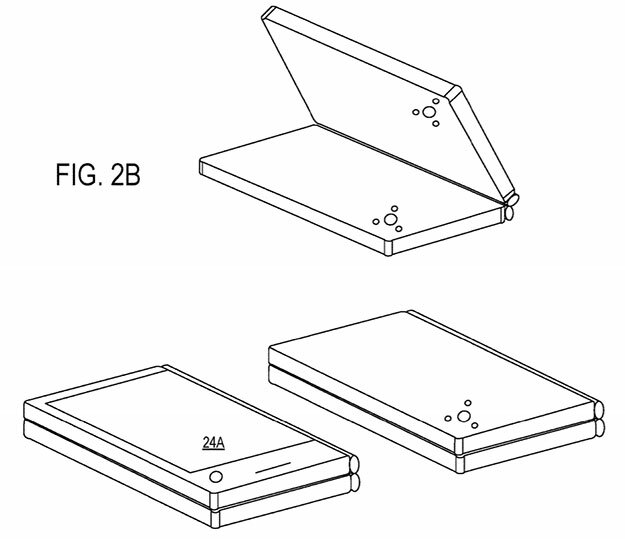 What do you think about the latest patents pointing out the Microsoft Surface Phone? Share your thoughts and ideas by writing in the comments section below.